Beverly Hills Therapist: Alaleh Selkirk - Therapist 90210. Send A Message To Dr. Selkirk. Do you feel unhappy, on edge, lost, and lonely even though on the outside it looks like you have it made? Are you feeling stuck in a life that you worked hard to get because you thought that’s what you should want? Are you losing sight of who you really are? Does it seem as though your emotions have too much power over you? Sometimes, even the most intelligent and accomplished among us may feel life has lost true meaning. You don’t have to settle for a life half-lived. In a warm, trusting, collaborative, and non-judgmental space, you can embark on an empowering journey of self-discovery. With curiosity, self-compassion, and commitment to the process, you can unlock your innate strength and wisdom. Then, you can let go of limitations and live in service of your truest self. 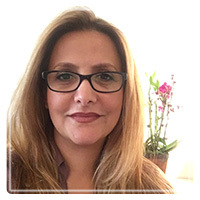 Alaleh “Allie” Selkirk, Ph.D., licensed clinical psychologist, started her career as an elementary school teacher. While raising her small children, Dr. Selkirk became increasingly curious and passionate about human development, leading her to pursue a Ph.D. in psychology. She became a Commissioned Naval Officer and a Navy psychologist for nine years before entering private practice. Dr. Selkirk has specialized training in trauma treatment, depression treatment, anxiety treatment, and insomnia treatment, as well as extensive experience working with anger, personal and professional relationship difficulties, and personality disorders. In addition to multiple Navy and Marine Corps Achievement Medals, Dr. Selkirk is meritoriously honored as a lifetime member of America’s Registry of Outstanding Professionals. At Introspection Beverly Hills, I welcome you as you are. My goal is to help you compassionately explore the depths of your emotions and find empowerment through meaningful self-discovery. I offer safety and nonjudgmental listening so that we can process your feelings, identify what’s not working for you, and brainstorm ways to make things better. I am told by past patients, staff, and referring colleagues that after working with me for a while, beyond achieving symptom resolution my patients tend to evolve into a happier and nicer version of themselves. I provide psychodiagnostic assessment and psychological testing, key components of an individualized, effective treatment to heal emotional wounds and thrive in life. Using cognitive behavioral and psychodynamic approaches, I am committed to helping you develop the skills you need to navigate challenges, effectively cope with distress, and start to live as your most authentic self. I invite you to acknowledge and express your truest self. I use the fundamentals of Positive Psychology to identify your existing strengths and use them as scaffolding to help you reach your higher self. We will use all the goodness that is you to help you find the best you! My hourly rates range from $180-$500. A clinical session is 55 minutes. The wide range in my hourly rates reflects the diverse types of services I provide, including varieties of Evaluations and Psychological Testing, Evidence-Based Treatments, and two types of individualized Concierge Membership levels. · I am happy to provide you a Super Bill, which you can submit to your insurance carrier for reimbursement. Please check the particulars of your insurance plan to verify reimbursement for psychological services.